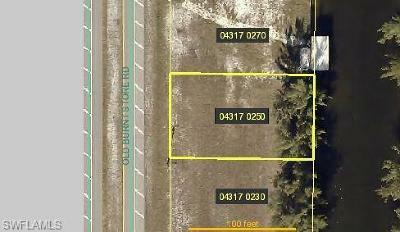 BRAND NEW CONSTRUCTION centrally located in Lehigh Acres. 1563 sq. ft. (2187 total) but it feels like much more. 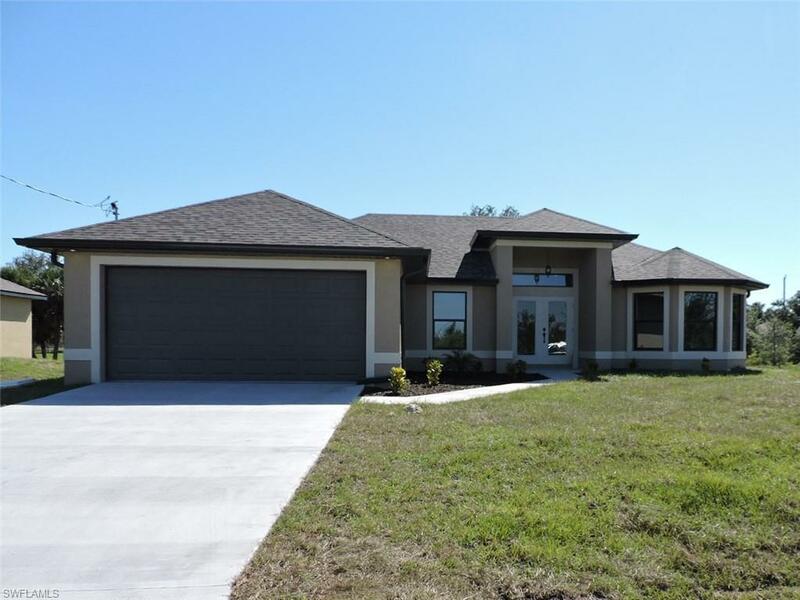 This bright open floor plan features 3 bedrooms plus a den, 2 bathrooms, 2 car garage. 24" Porcelain tile throughout, 8 foot ceilings, Upgraded wood cabinets, and granite in kitchens and bathrooms. Well-appointed kitchen with stylish backsplash, pantry, and will have stainless steel appliances installed prior to closing. Large island with room for seating as well as plenty of space for a dining table. The kitchen opens to a very spacious great room, perfect for entertaining or family get togethers. The den offers that extra space for an office or playroom. The master bedroom suite boasts his & her walk in closets and a spacious master bath. Master bath has dual sinks and a walk-in shower with frame-less glass doors. Inside laundry room is located conveniently off the kitchen and has washer and dryer hook up. Covered lanai and room for a pool. This home is close to state road 82 with quick access to I75. Home warranty is 1 year materials and workmanship. Water equipment will be installed prior to closing. Selling Agent: Lee Gariepy, Jr.